As Sochi approaches, the beginning of Bulger’s Dream (Olympic Fanfare) starts echoing in my mind. There’s something about way the percussion and trumpets become louder and more insistent that prepares us for the competition of the best. Dah. Dah. Da-da-da-da-da! It’s the start of 2 weeks of witnessing people giving their best after training for years. We know that these athletes have thousand of hours invested in their sports and travel worldwide for the Olympics but where do they spend their time training when they’re not competing?Where do they go when they’re not in the spotlight? And, most importantly, how can we be like them? We’ve found the top destinations where you train like an Olympian on the same turf (or rather, snow and ice) as the elite athletes. All of these places offer a variety of family-friendly activities for your future Olympians. If following in the tracks of your favorite Olympic skiers and snowboarders is your passion, head to Colorado to test your skills on their home terrain. Copper Mountain features the U.S. Ski Team Speed Center, where ski team members practice on the only full-length downhill and super-G course in the nation. Visitors can take in all two miles and 2,300 feet in vertical drop when it is not in use by the ski team! 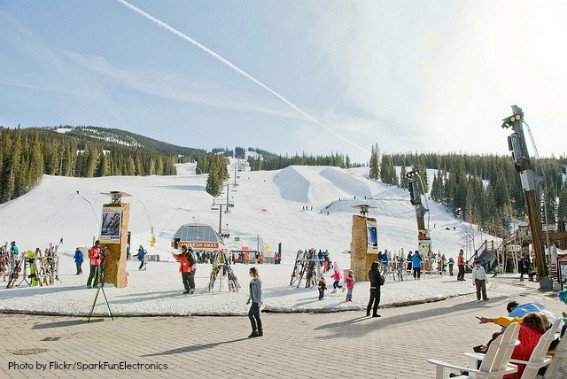 Also at Copper Mountain, snowboarders can practice their moves at Woodward, which has a number of outdoor terrain parks (including a 13′ pipe and 22′ super-pipe) and indoor facilities (skateboard, trampoline, foam pits, and more) for perfecting aerial maneuvers. 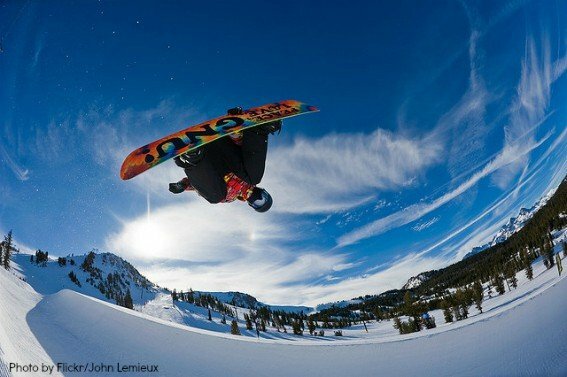 Further west, California’s Mammoth Mountain has been named an official training ground for the U.S. Freeskiing and Snowboarding teams and is also frequented by the Alpine teams. The daring among us can catch big air like members of the U.S. Ski Jumping and Nordic Combined teams on the 90 meter jump on Howelsen Hill in Steamboat Springs, Colorado. The Steamboat Springs area, nicknamed Ski Town U.S.A., is known for producing more winter Olympians than any other place. 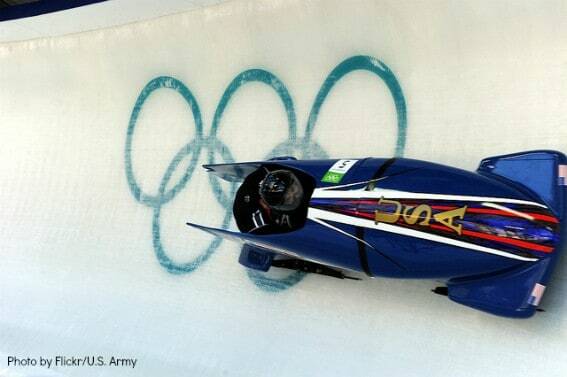 Head west to Utah’s Olympic Park in Park City to jump in the same venue that the Women’s U.S. 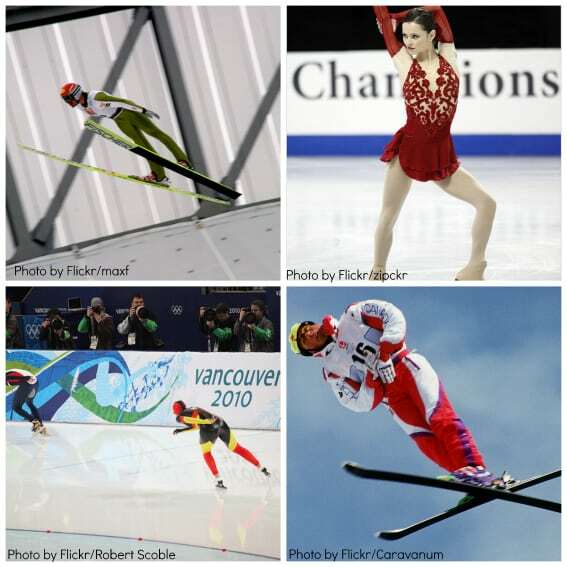 Ski Jumping team use to train athletes. Park City’s Olympic Park also hosts camps and visitors’ events in skeleton, luge, freestyle (ski or snowboard), and ski jumping. In the summer, athletes train at Utah’s Olympic Park on plastic slopes and practice aerials over a 750,000-gallon swimming pool! Just down the road in Kearns, Utah, speed skaters and figure skaters can train on the Olympic Oval used for the 2014 Olympic Team Trials. If Nordic skiing or biathlon is in your blood, travel to the Soldier Hollow Olympic venue, near Heber City, Utah, where you can ski on the same trails that the athletes competed on during the 2002 Olympics. You can even try the Olympic Biathlon Experience, complete with use of an authentic biathlon rifle, ammunition, safety training, and a mini competition! 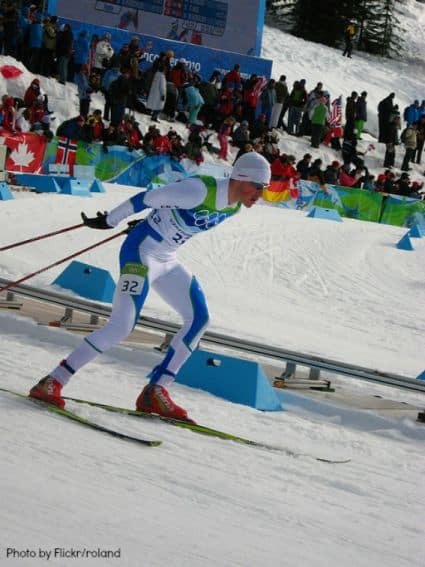 To catch the earliest opportunity on snow, members of the Nordic and biathlon teams often find themselves in Anchorage, Alaska’s 140km of trails at Kincaid. If you can make your way up there early in the winter season, you won’t be disappointed! Lake Placid, New York is home to one of three Olympic Training Centers used by approved athletes-in-training. The Lake Placid area offers a number of opportunities in town for skiing, jumping, speed skating, and figure skating. Downtown, you’ll find the Olympic Oval used for figure skating and speed skating. Ski jumpers enjoy 90 and 120-meter hills, freestyle aerialists catch big air at the Olympic Jumping Complex, and Nordic skiers can race on the site of the 1980 Olympic course at Mt. Hovenberg. Have you found any must-visit locations where you could train (or pretend to train) like an Olympian?